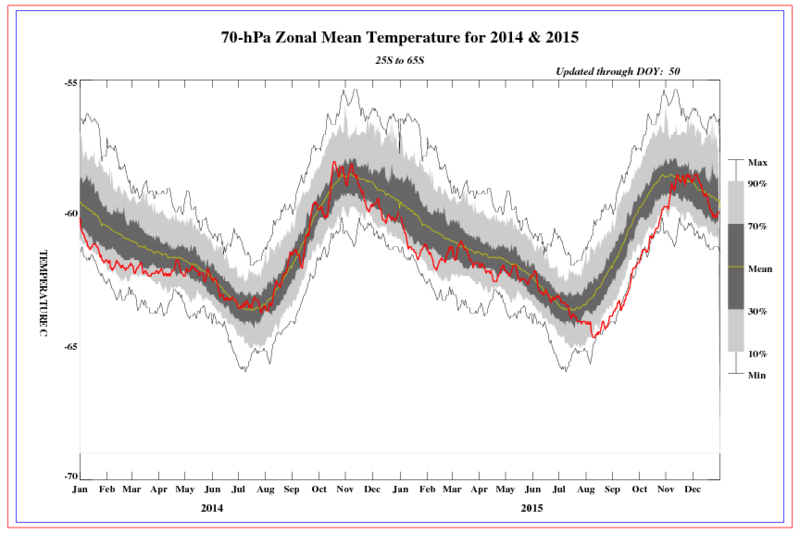 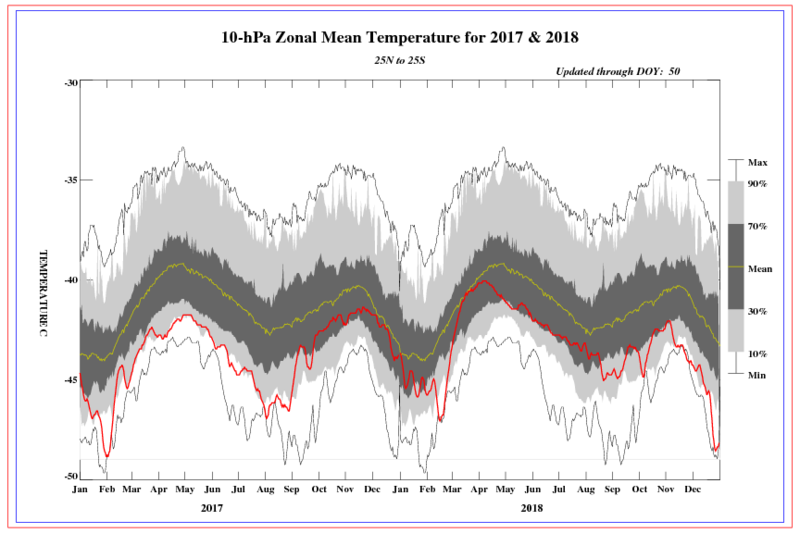 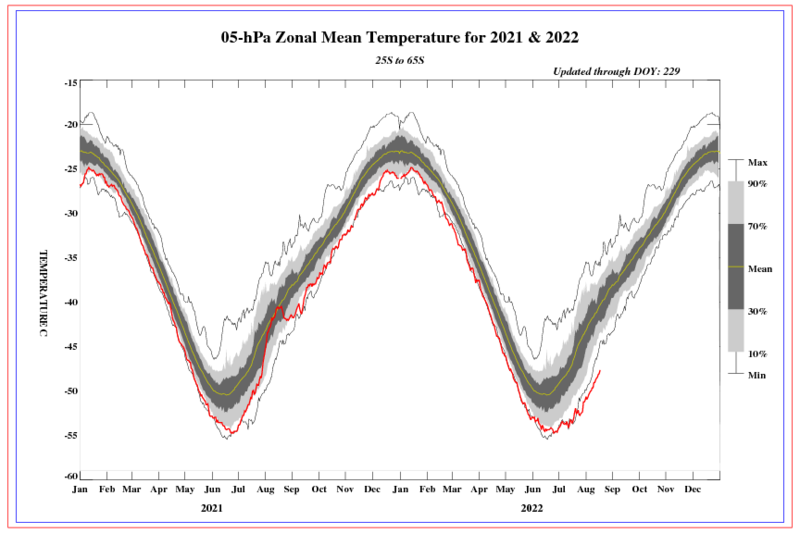 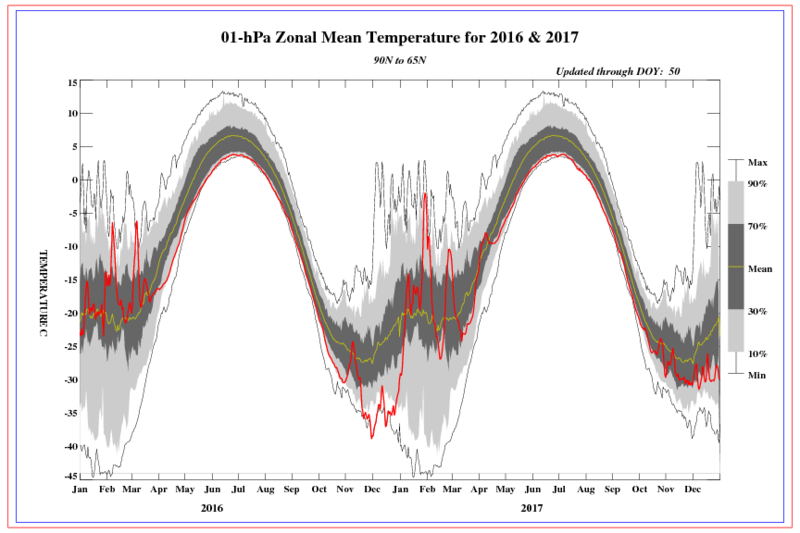 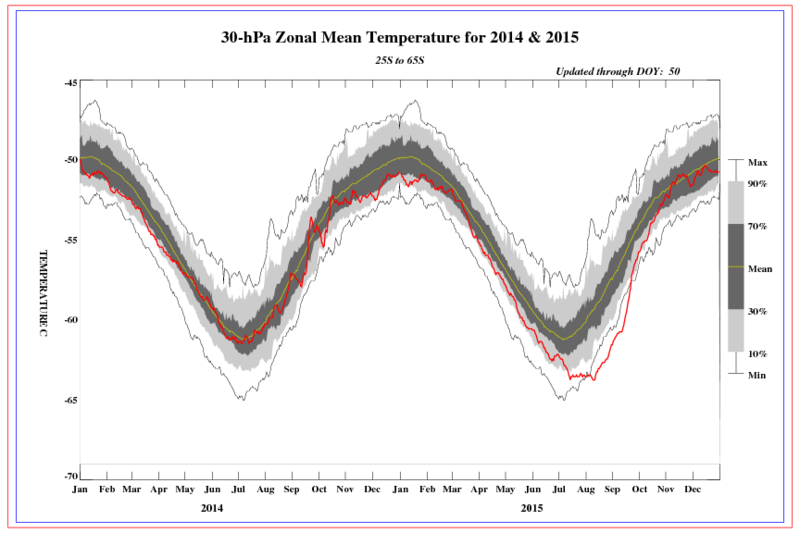 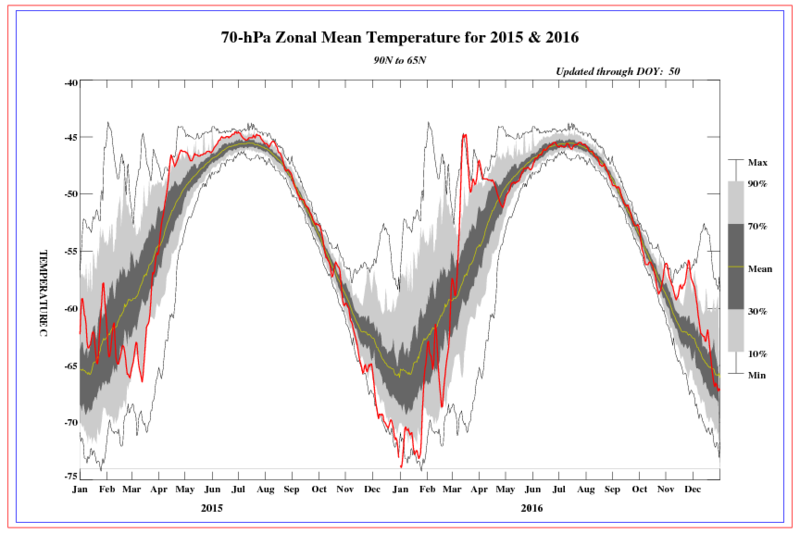 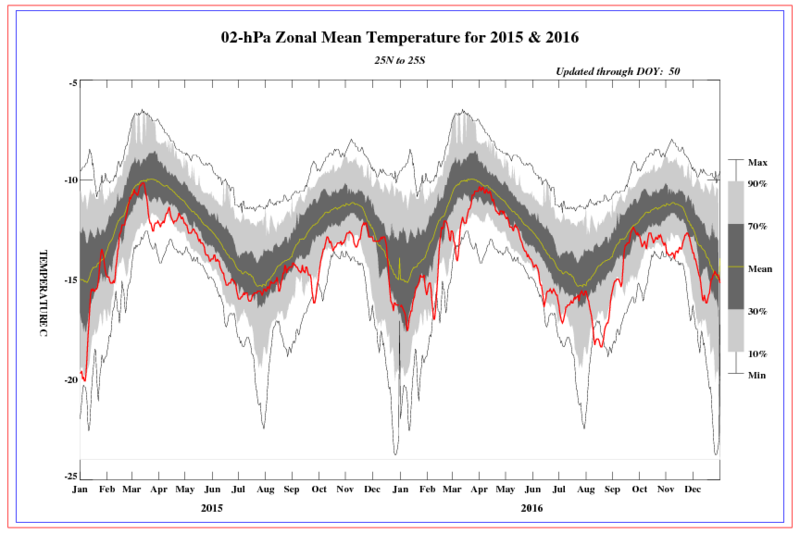 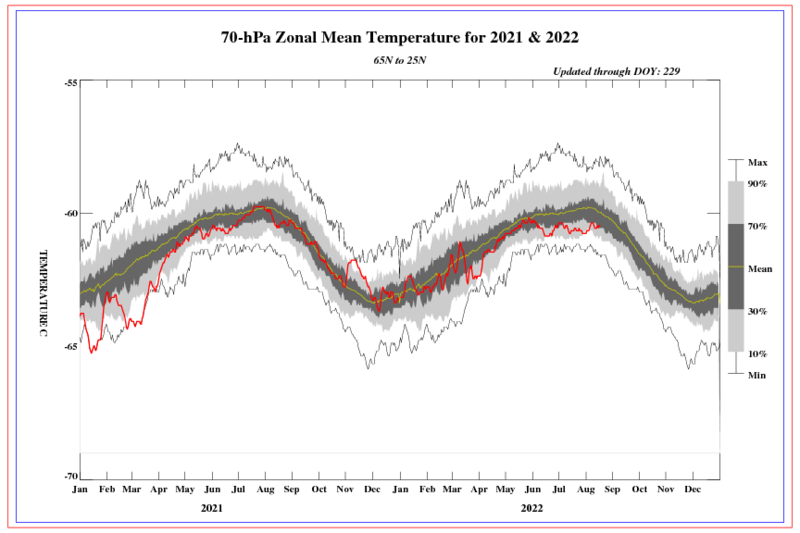 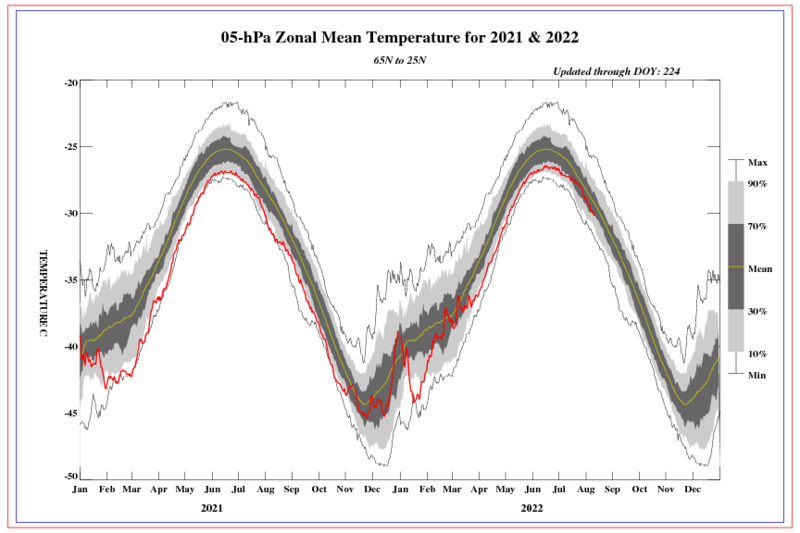 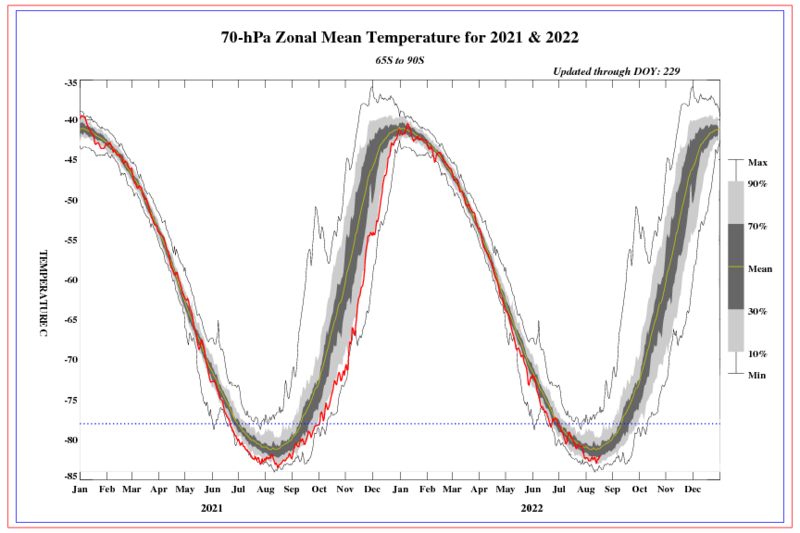 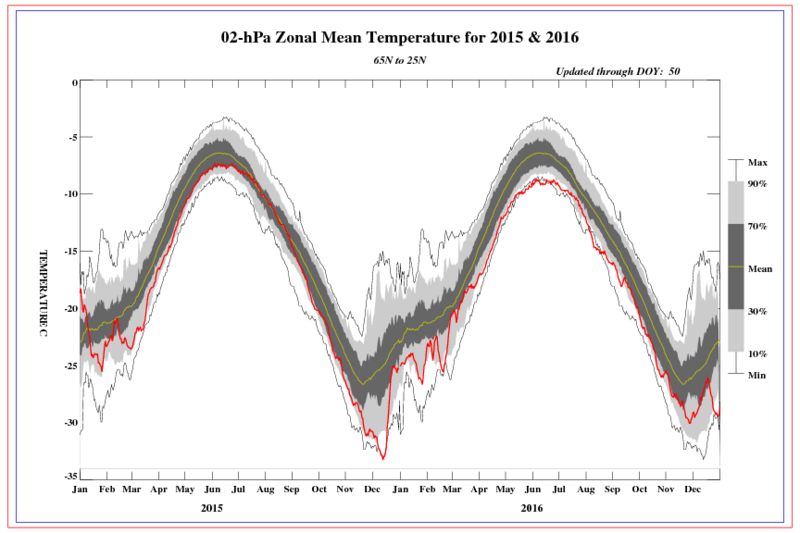 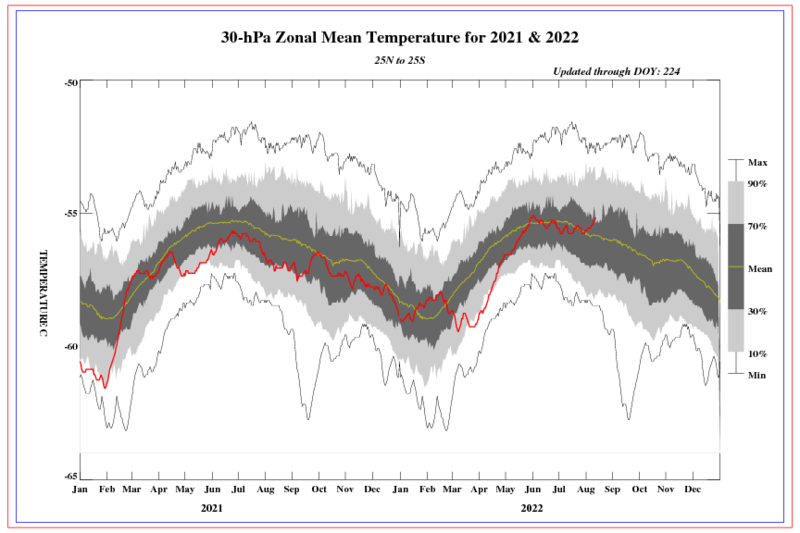 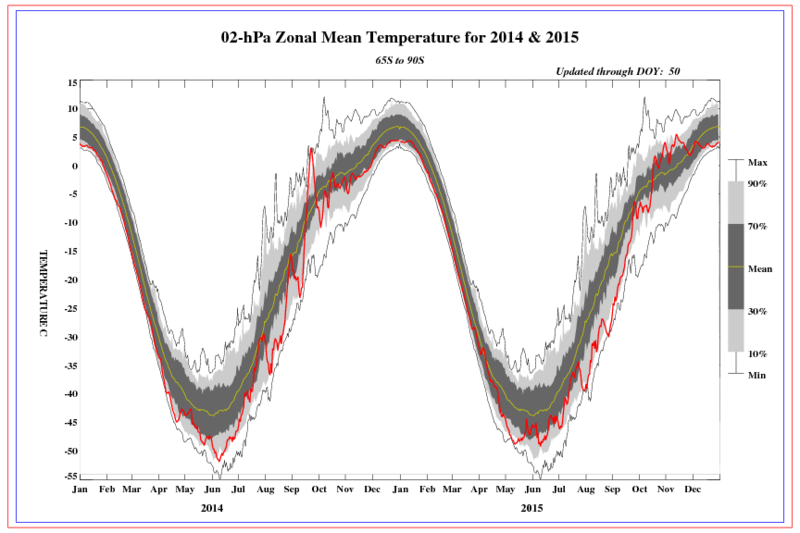 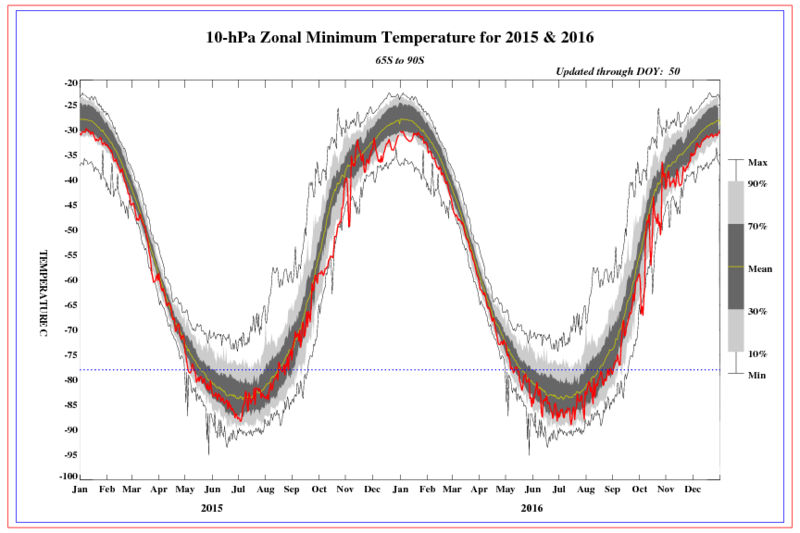 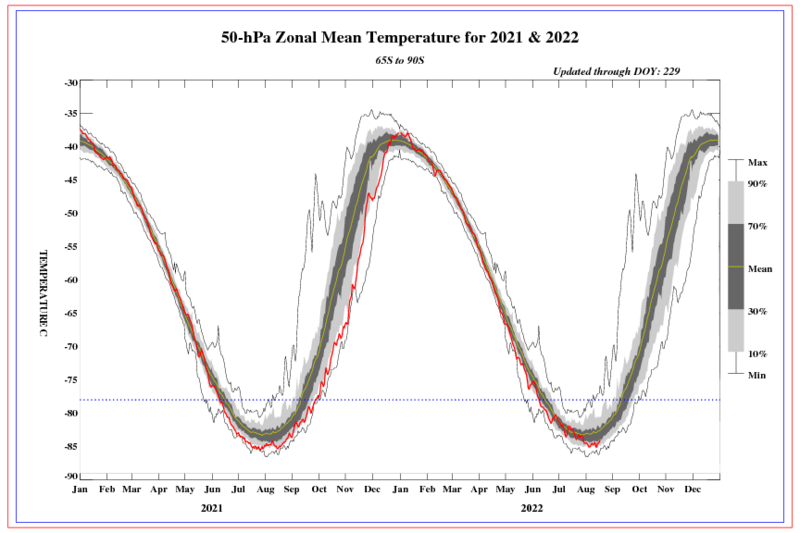 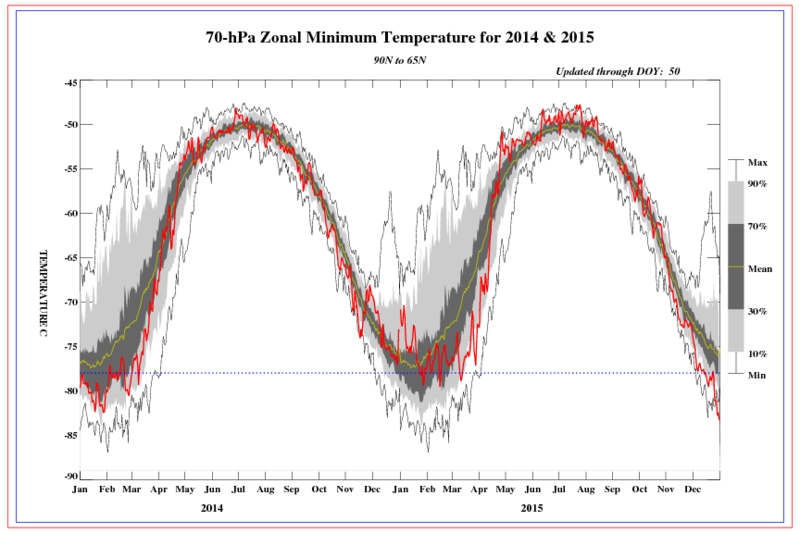 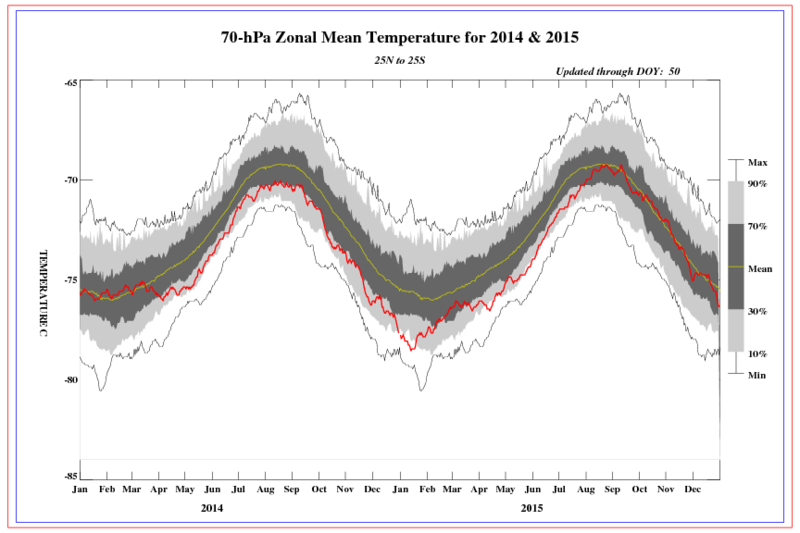 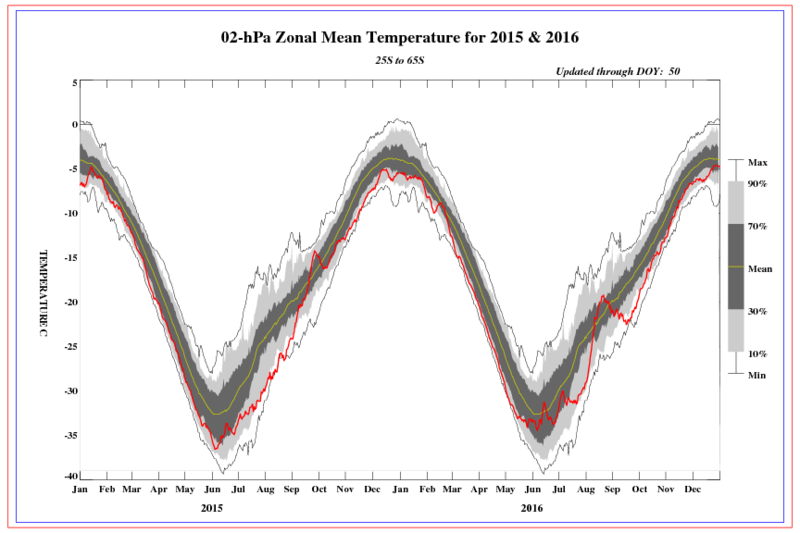 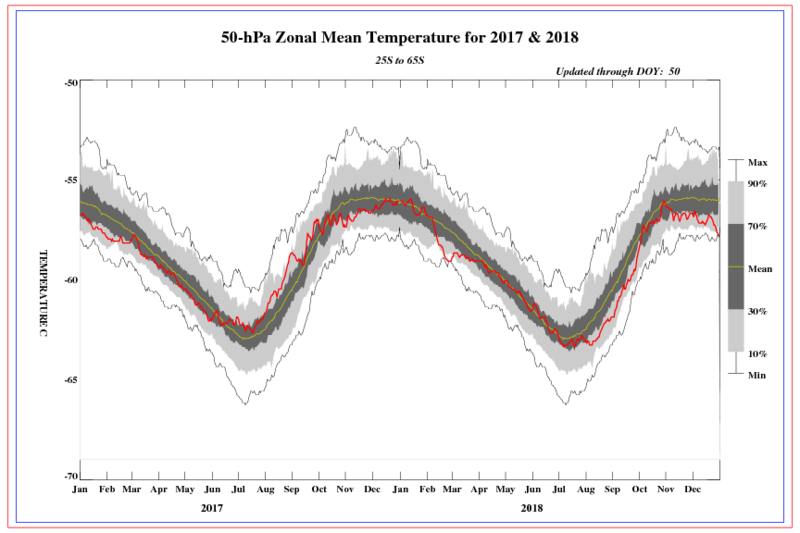 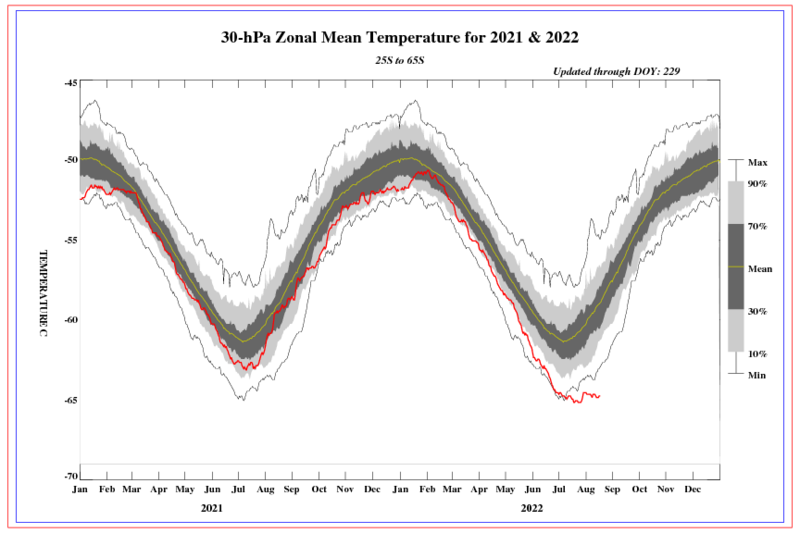 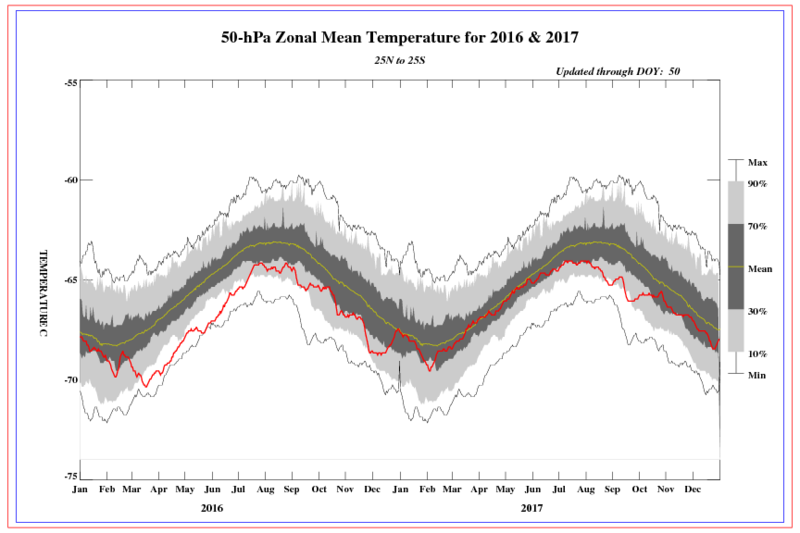 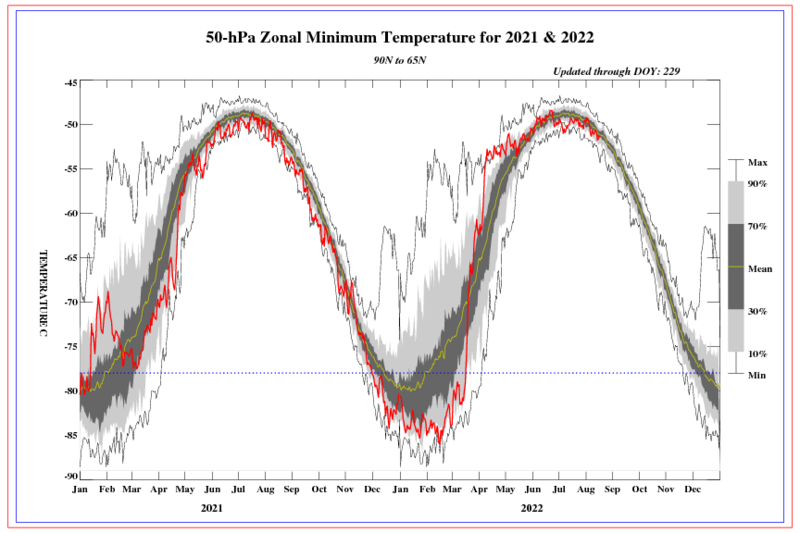 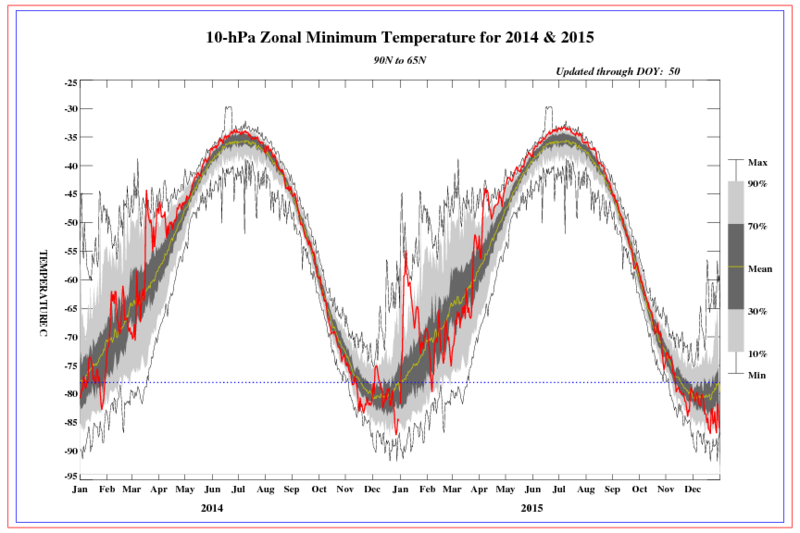 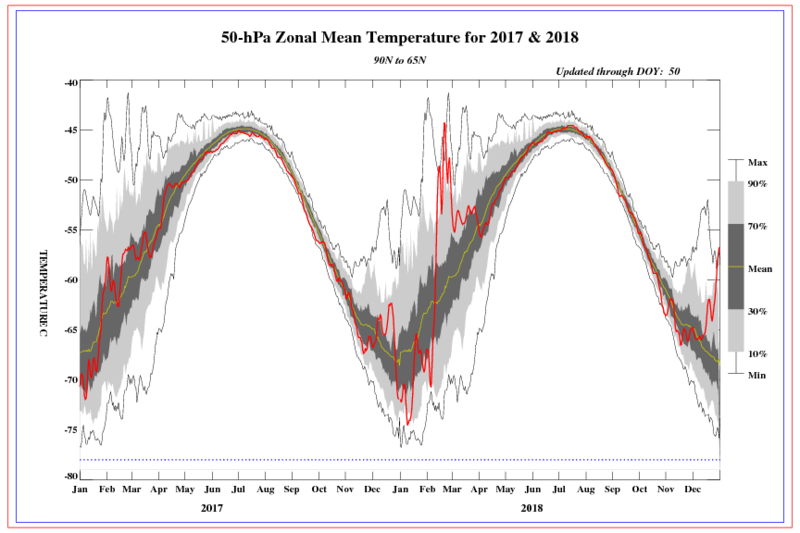 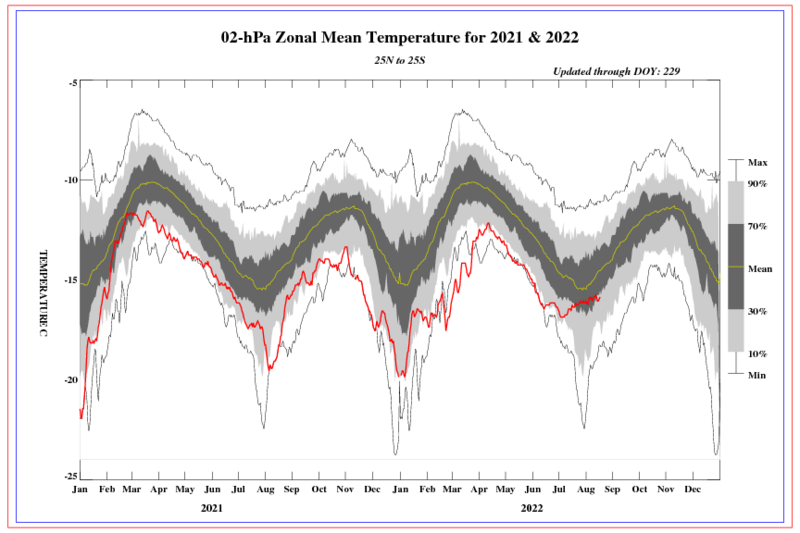 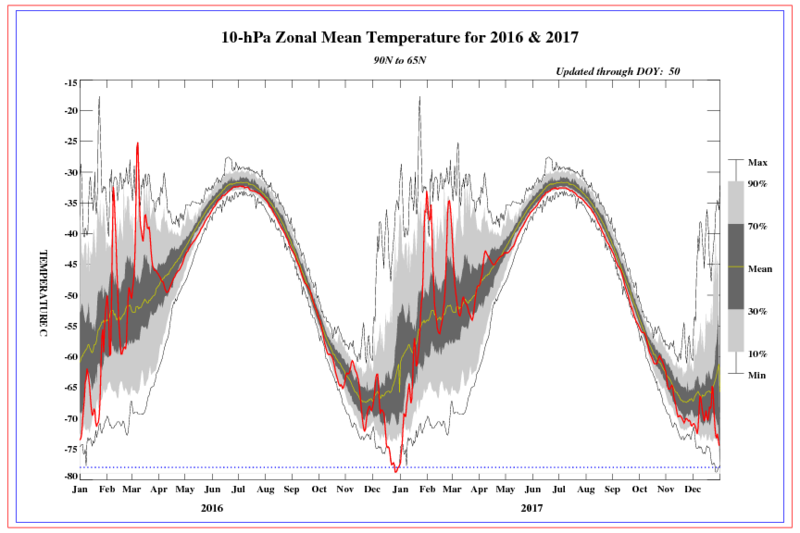 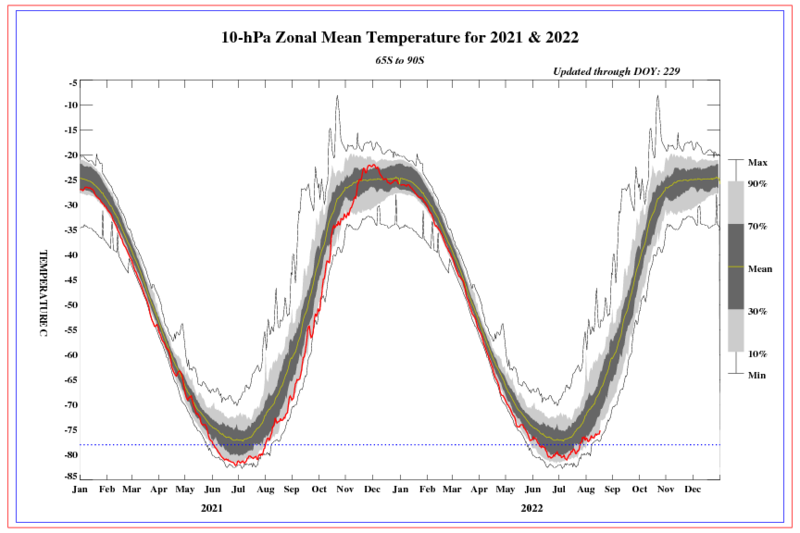 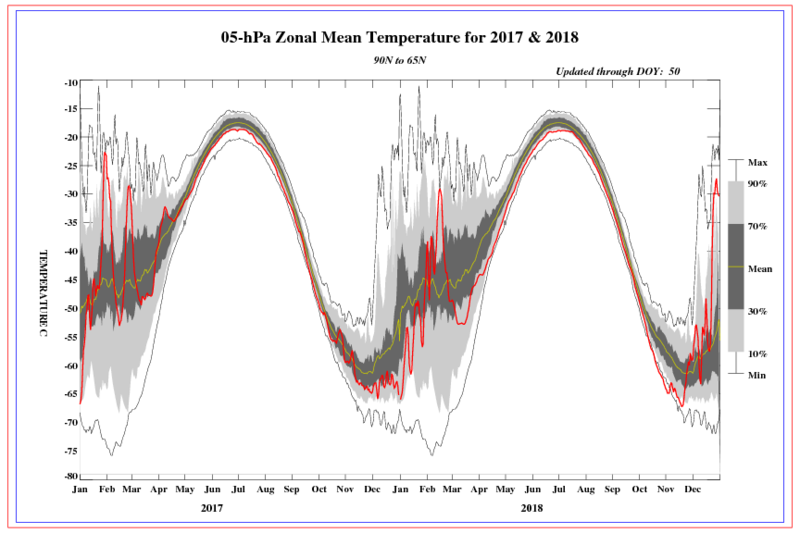 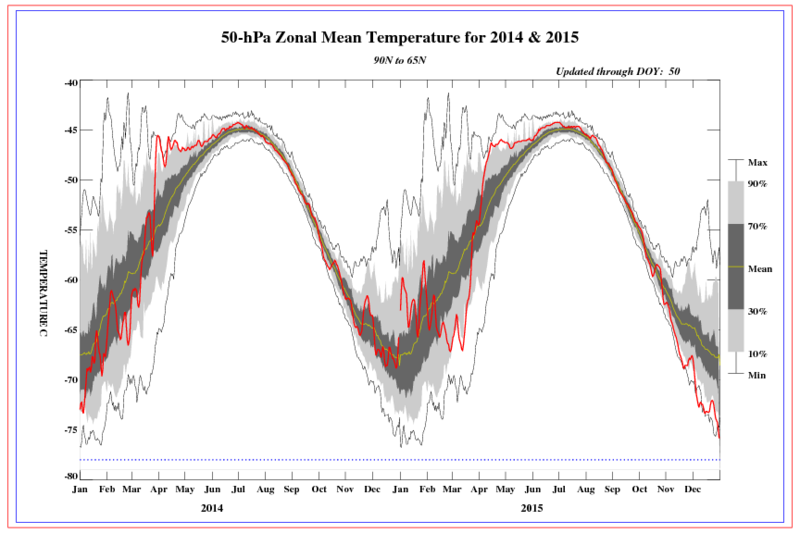 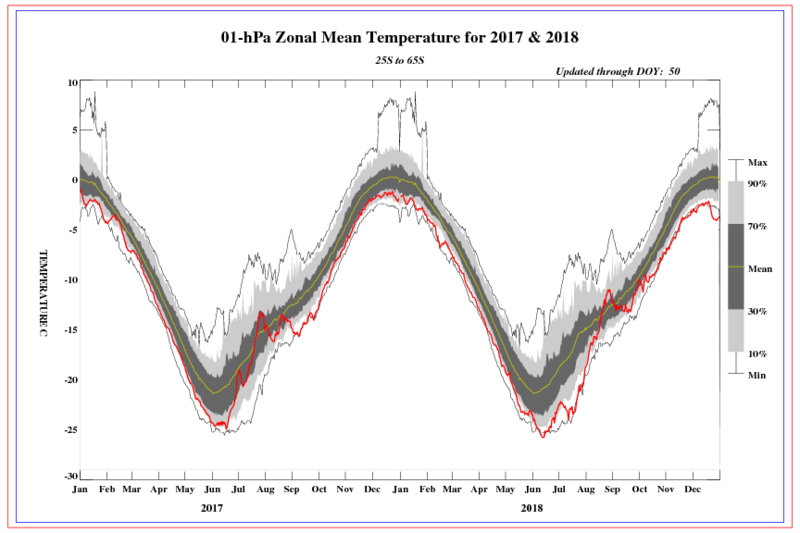 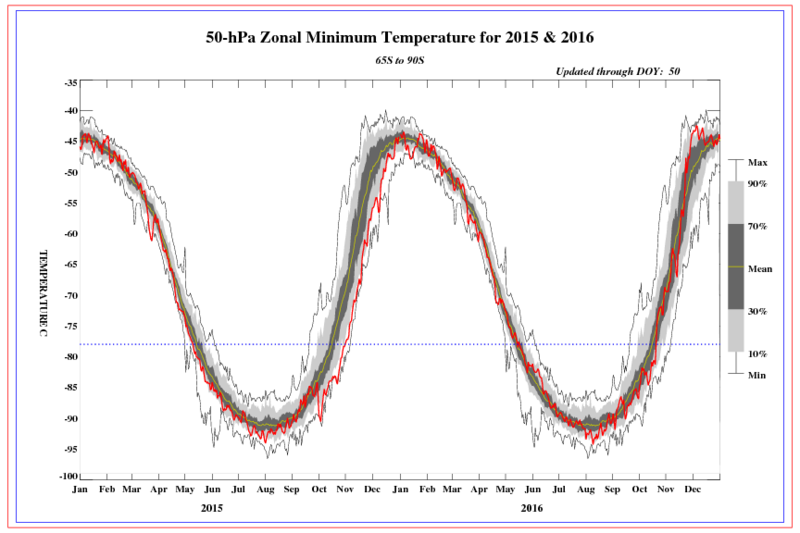 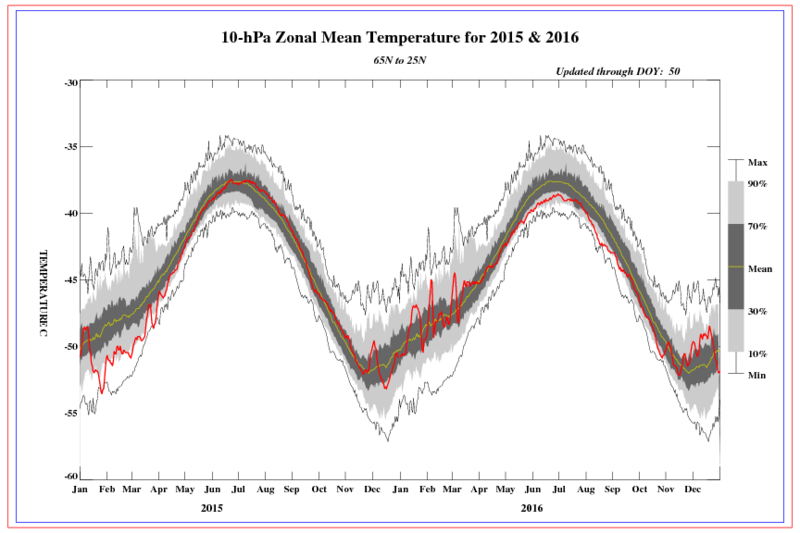 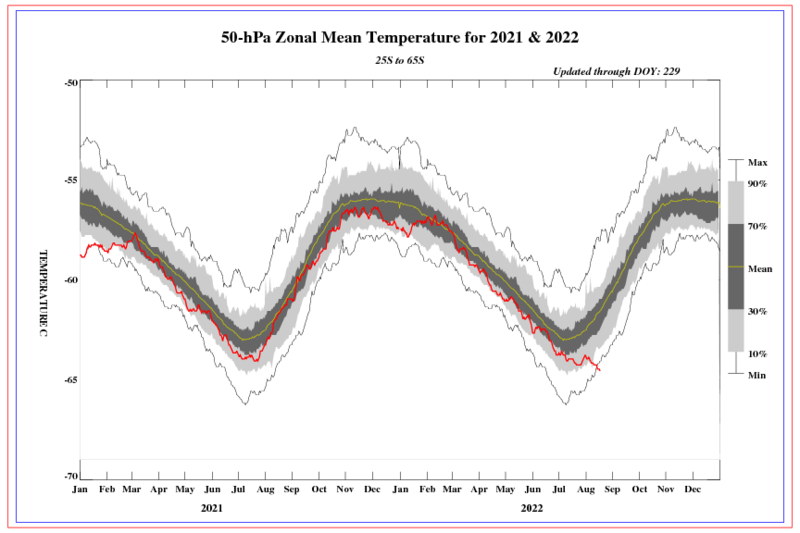 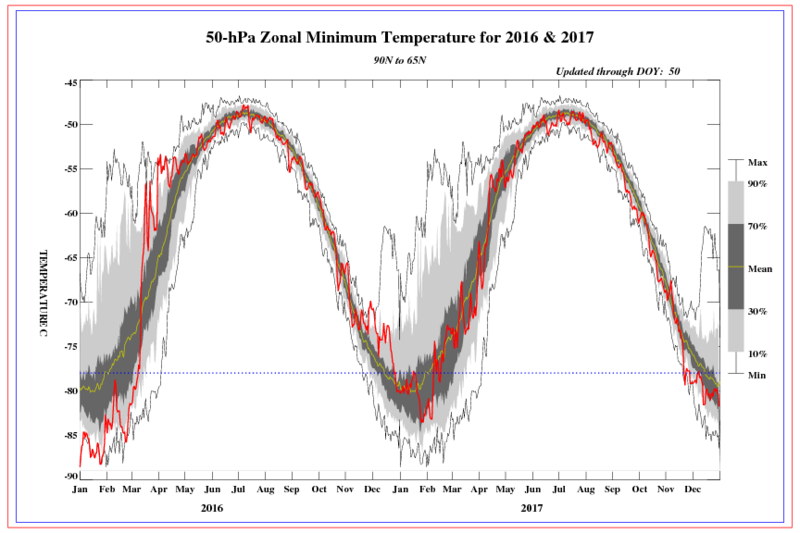 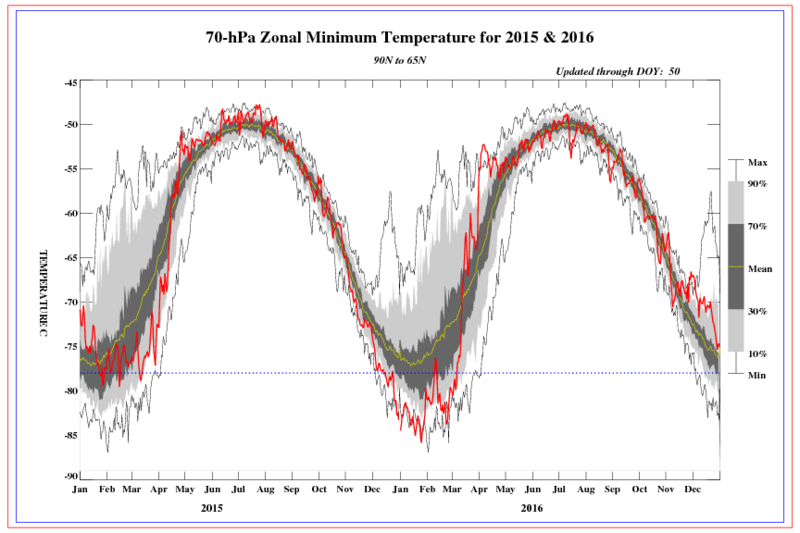 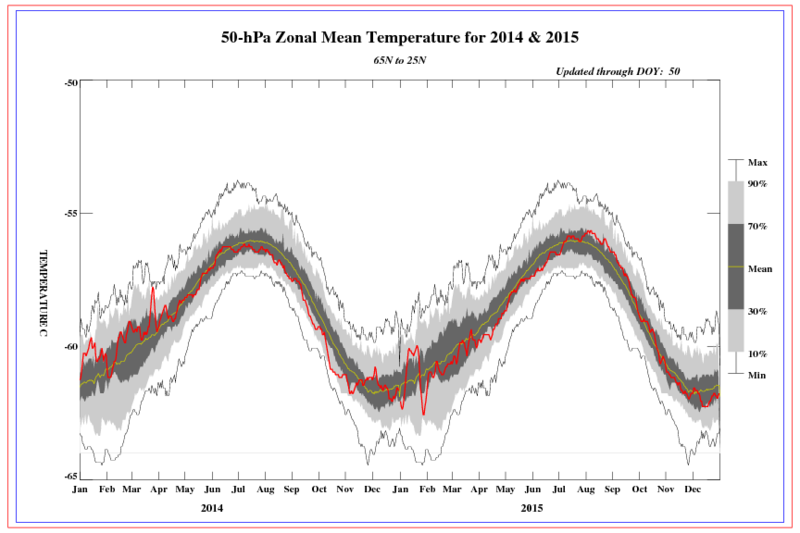 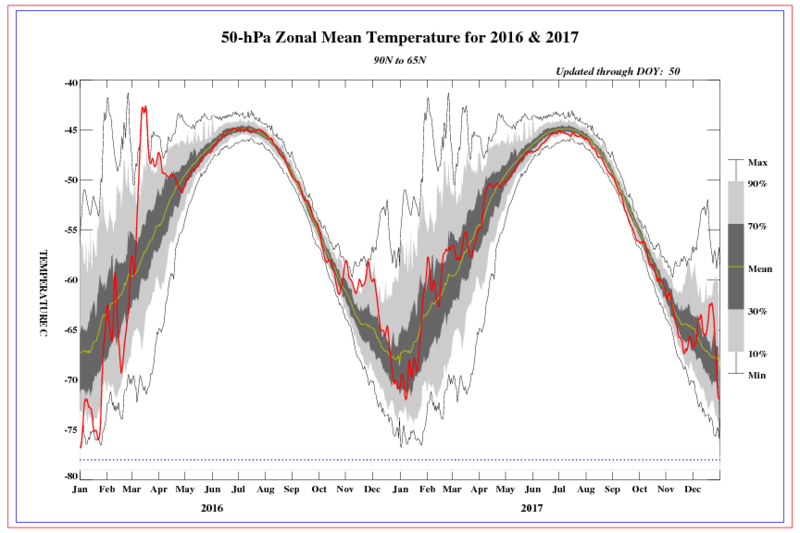 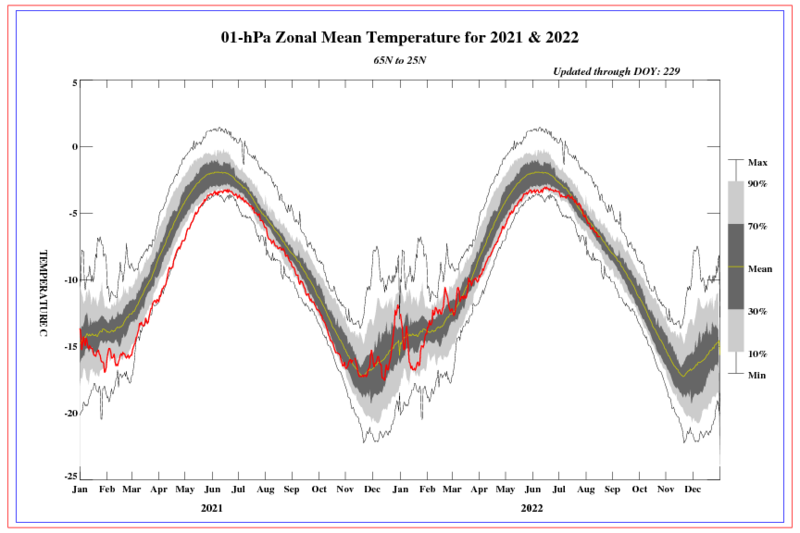 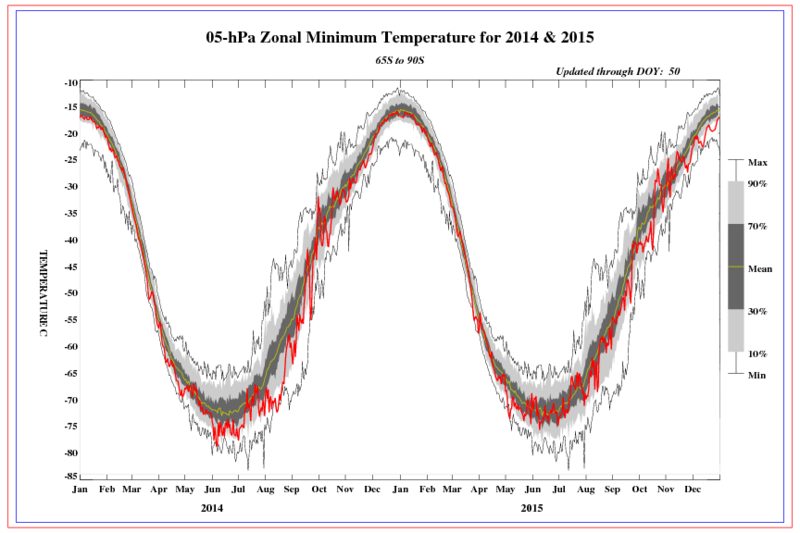 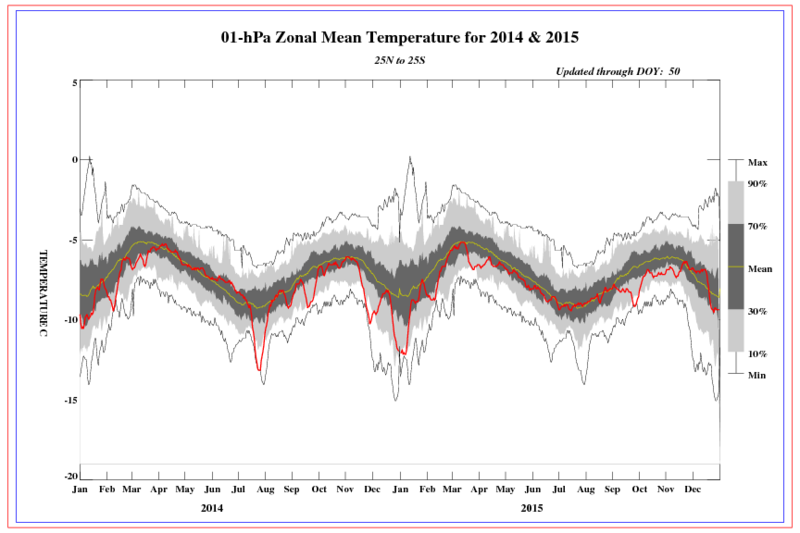 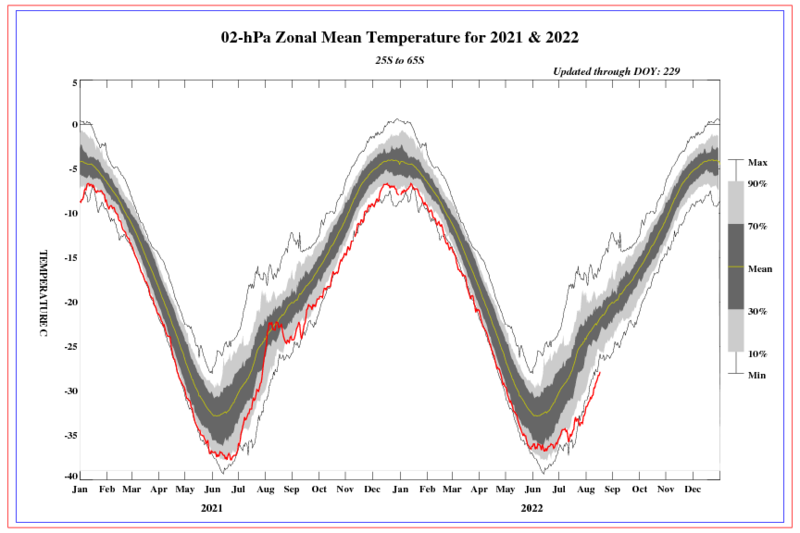 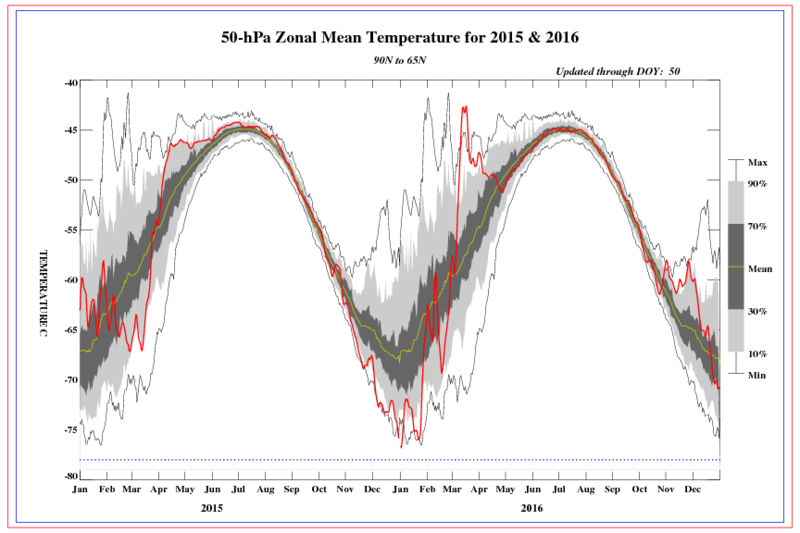 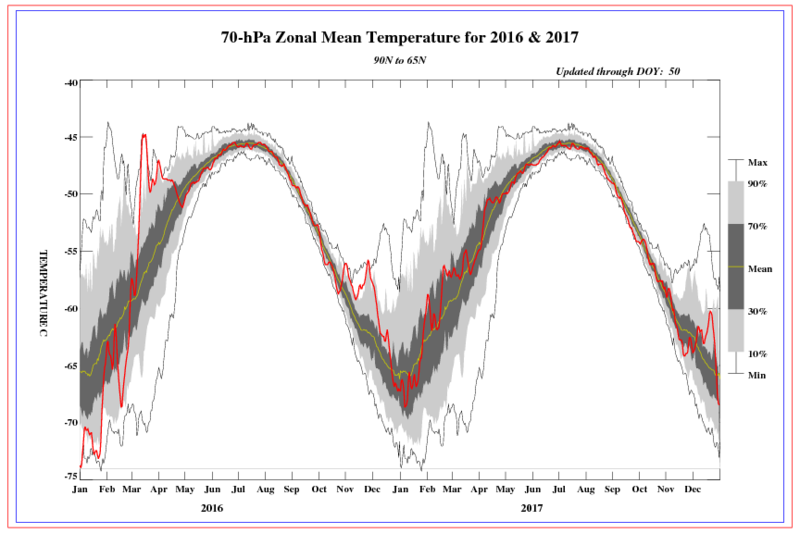 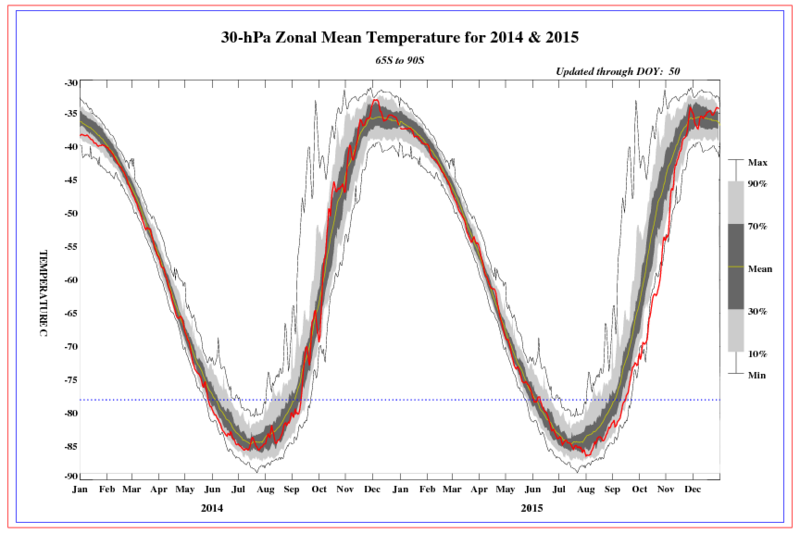 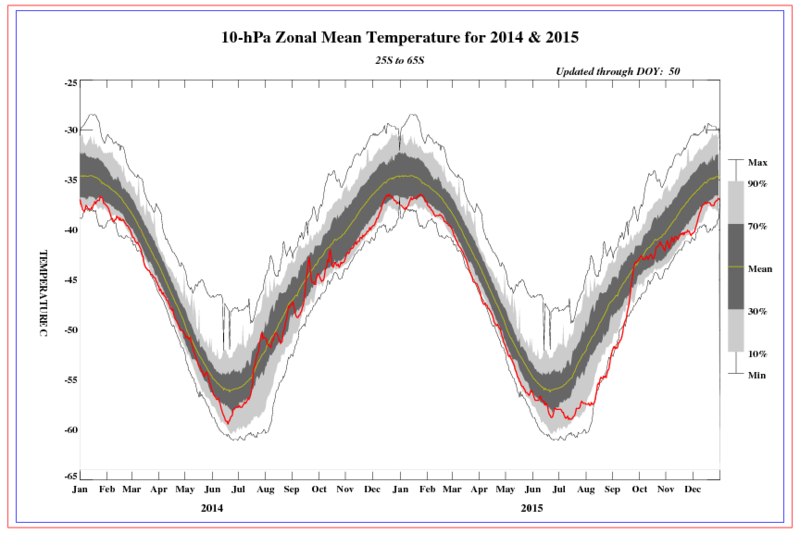 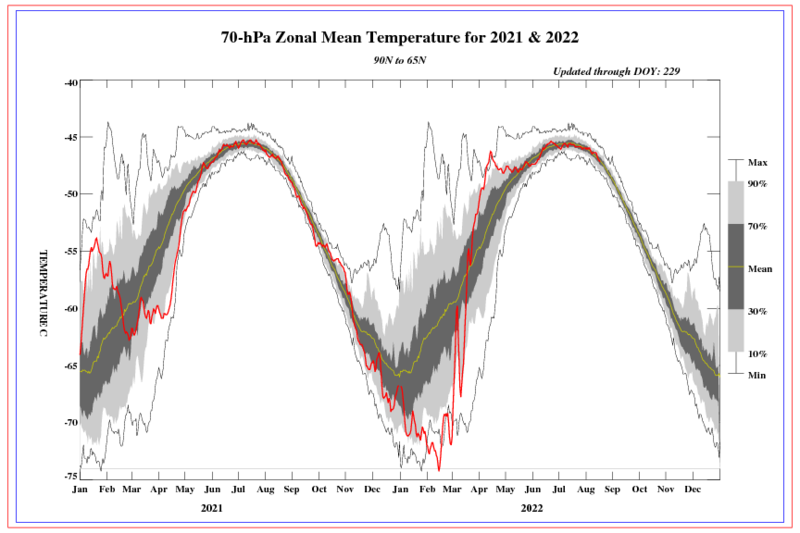 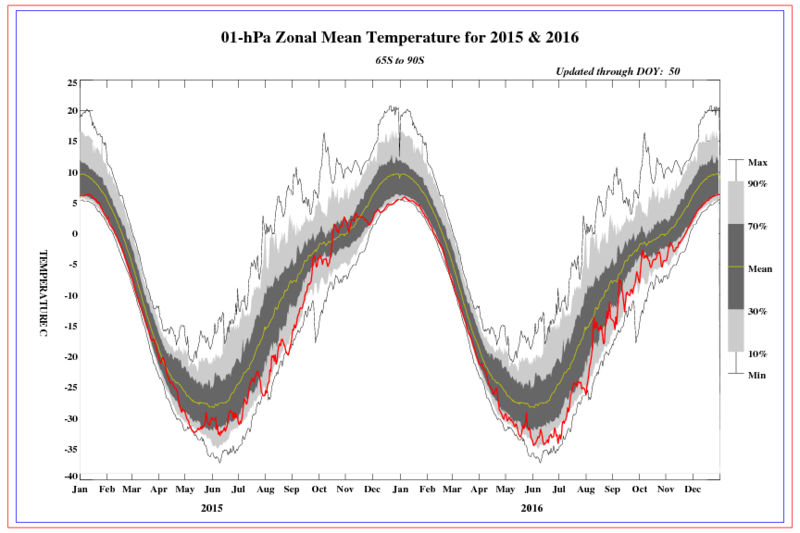 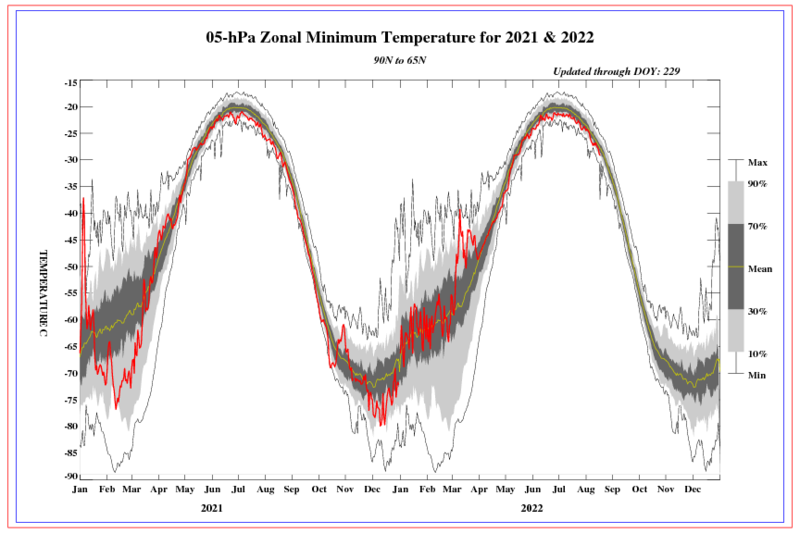 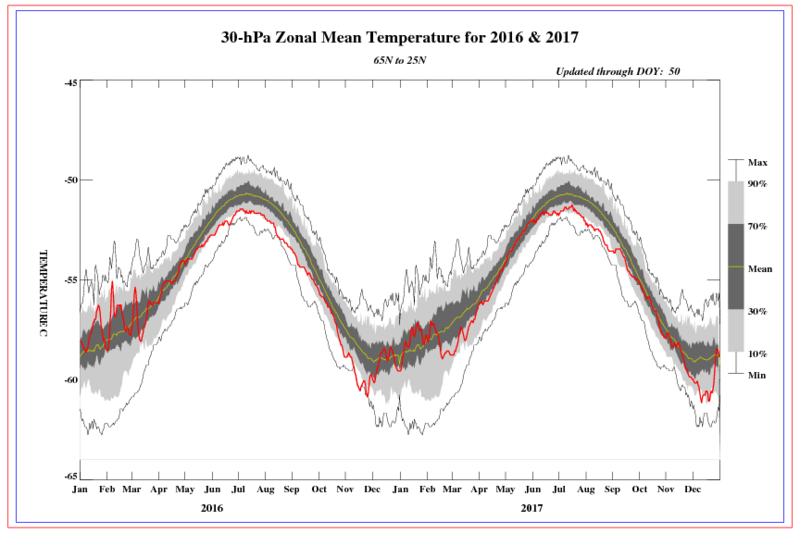 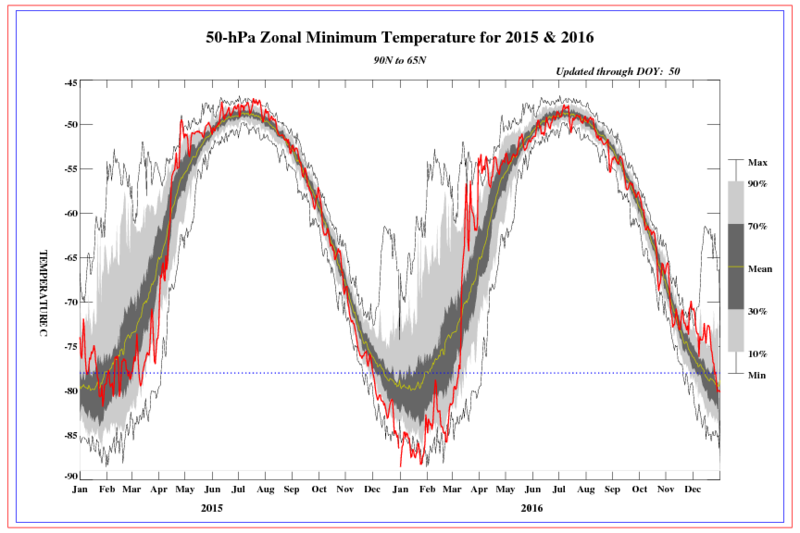 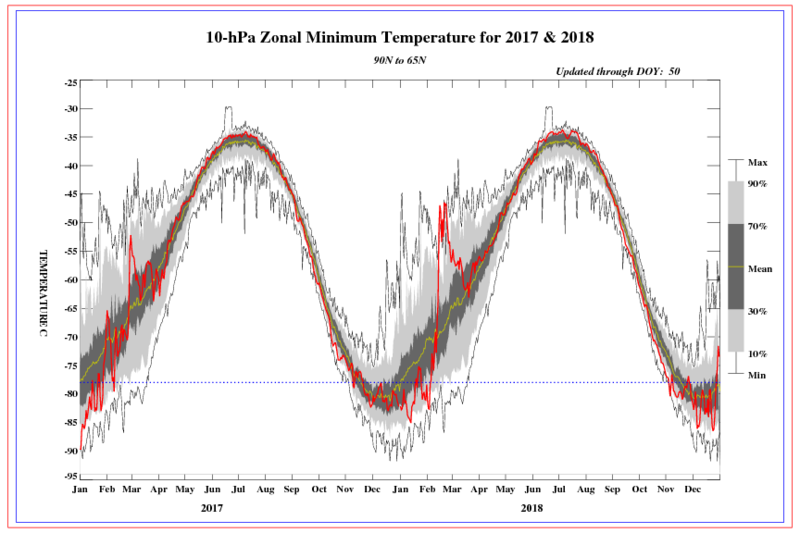 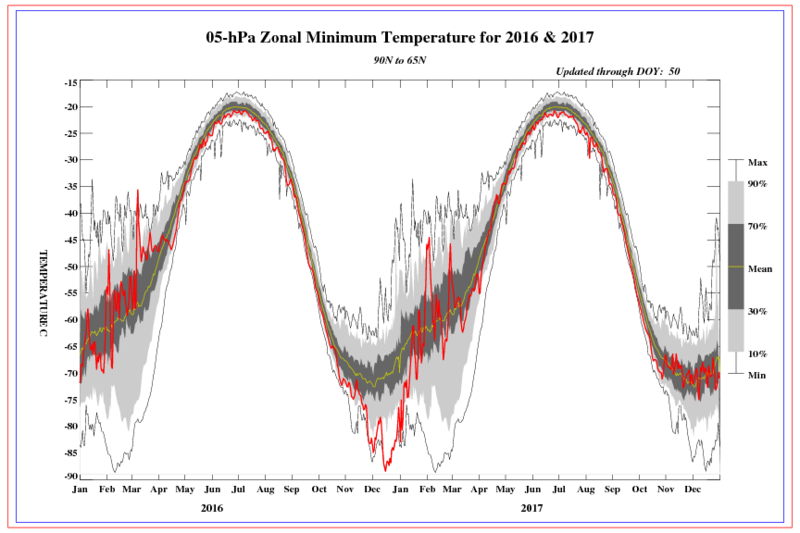 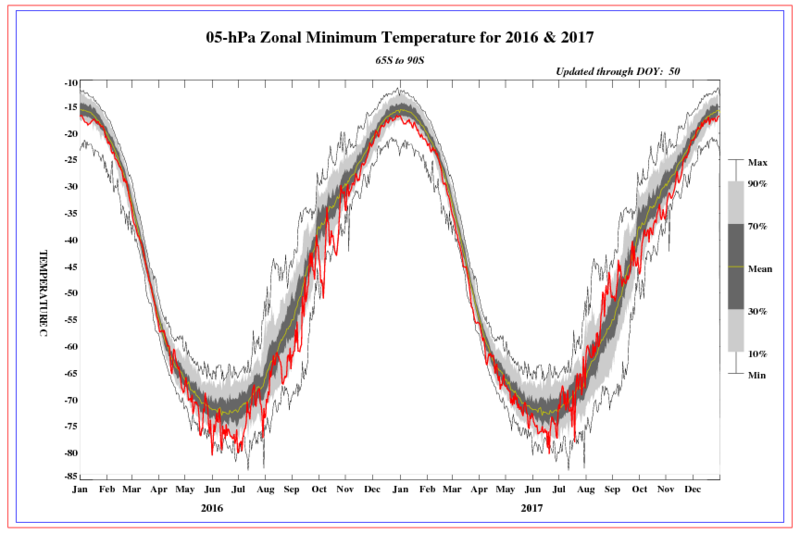 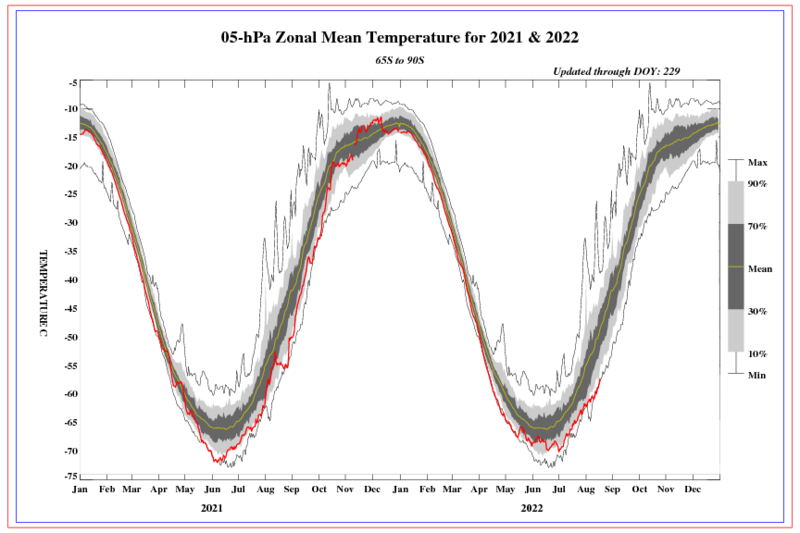 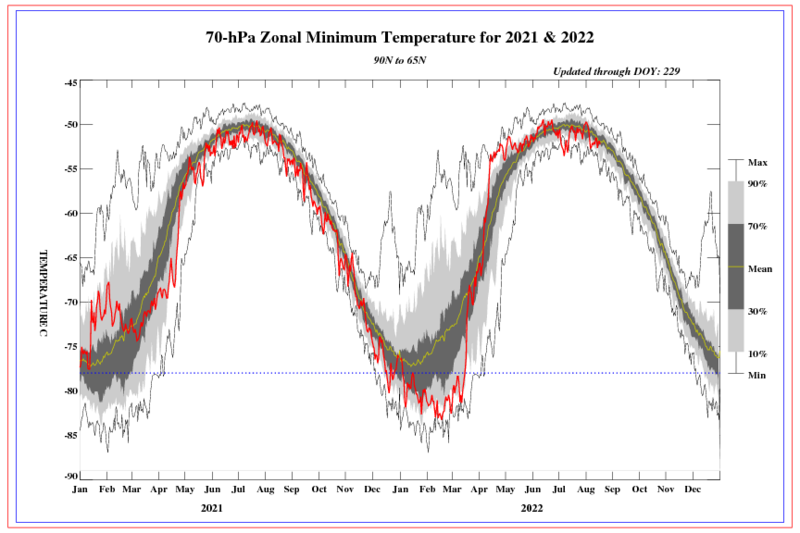 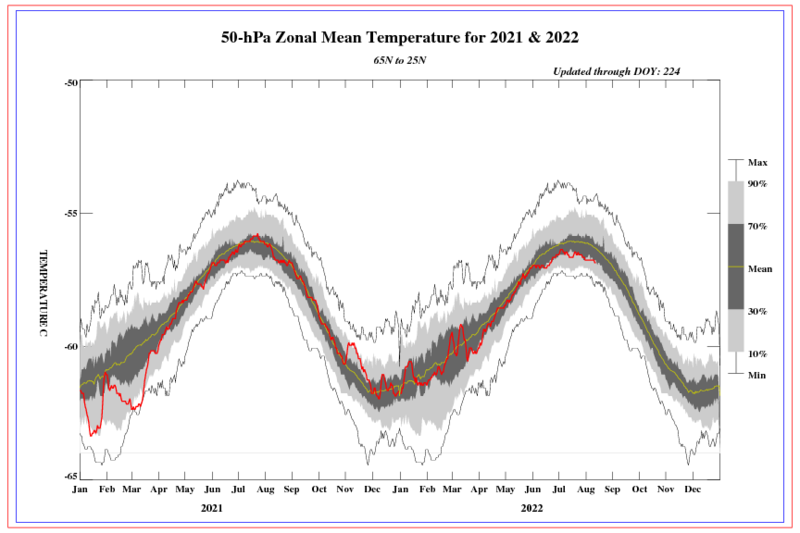 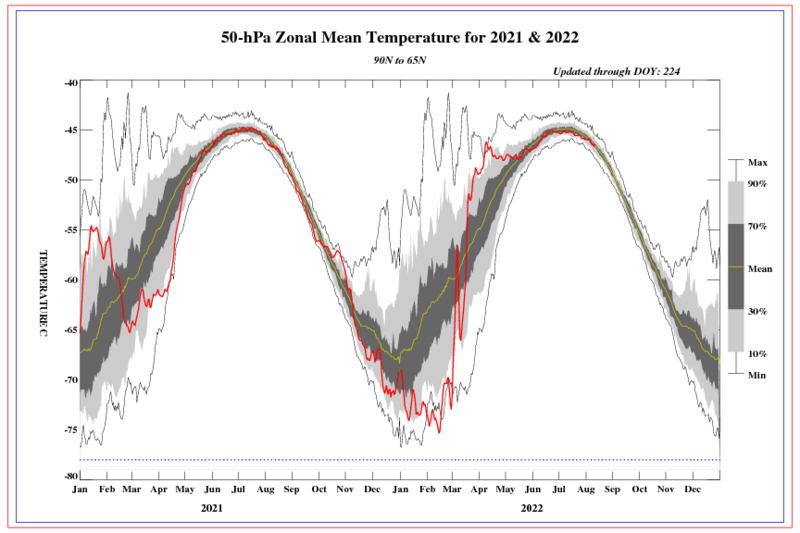 The CPC global temperature analyses are derived each day at 8 stratospheric levels, 70. 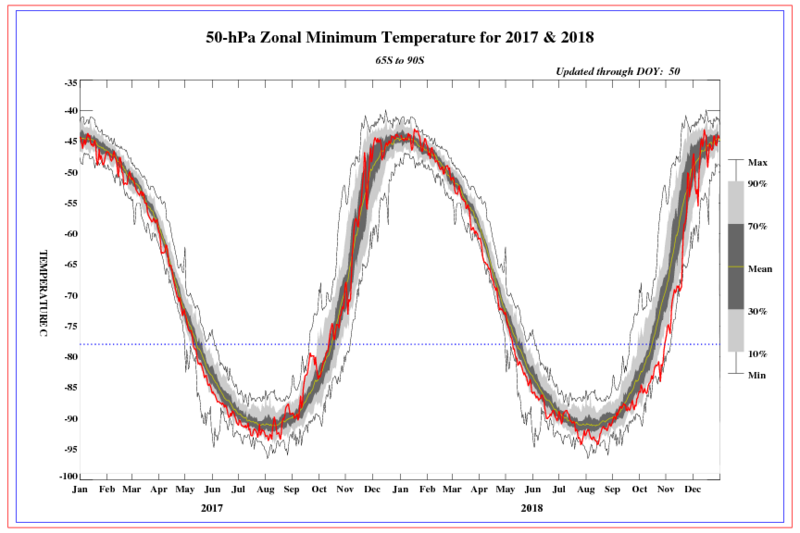 50, 30, 10, 5. 2. 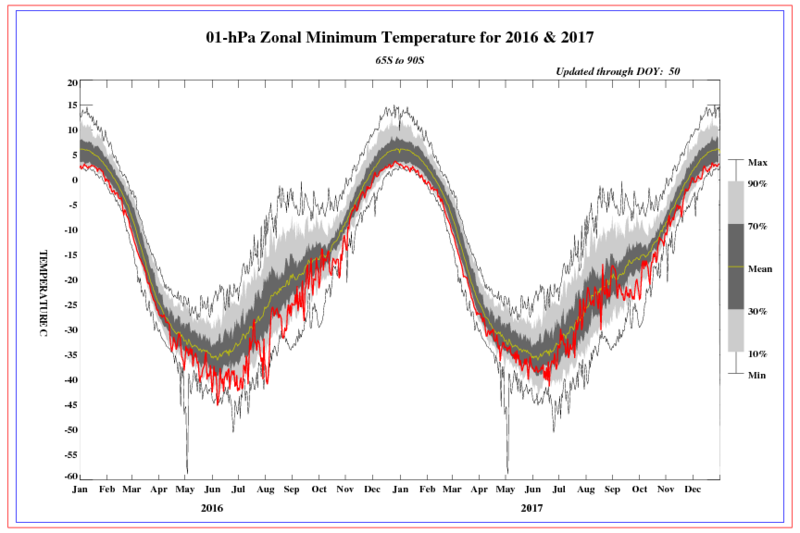 1. and 0.4 hPa (approximately 18-55 km). Graphical aids for monitoring temperature anomalies in the stratosphere are shown here for 70 hPa and 50 hPa (approx. 20 km), representative of the lower stratosphere, 30 hPa and 10 hPa (approx. 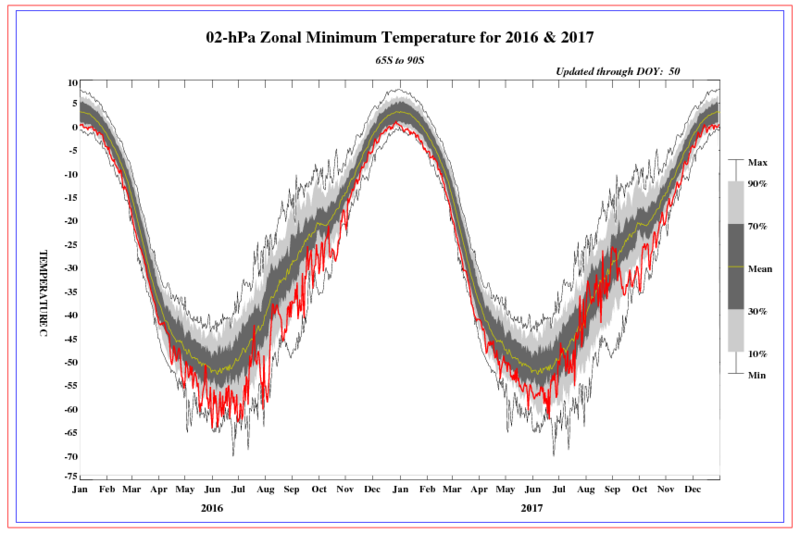 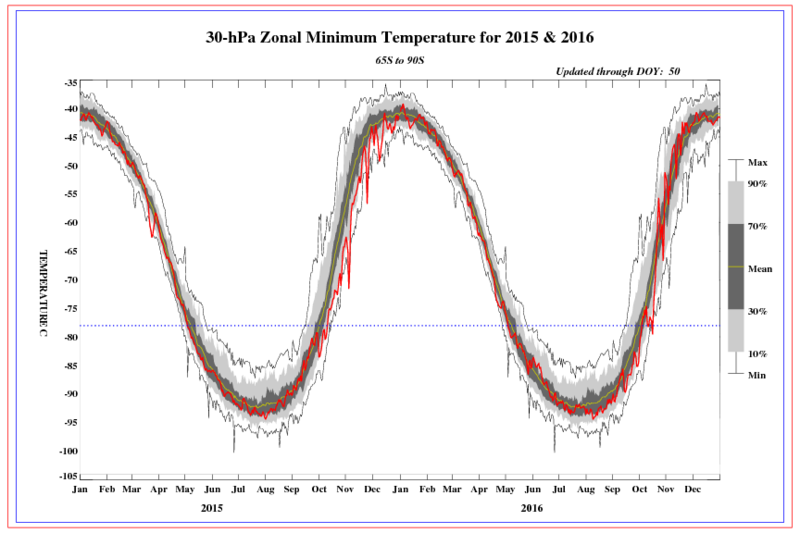 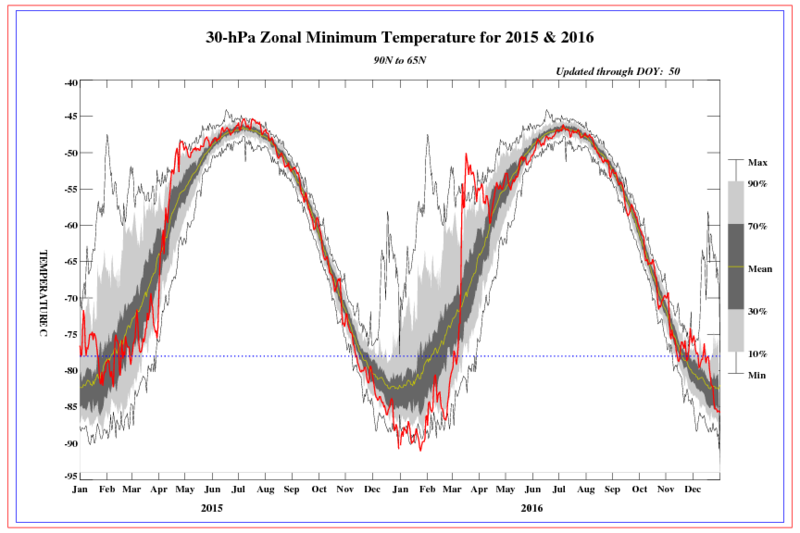 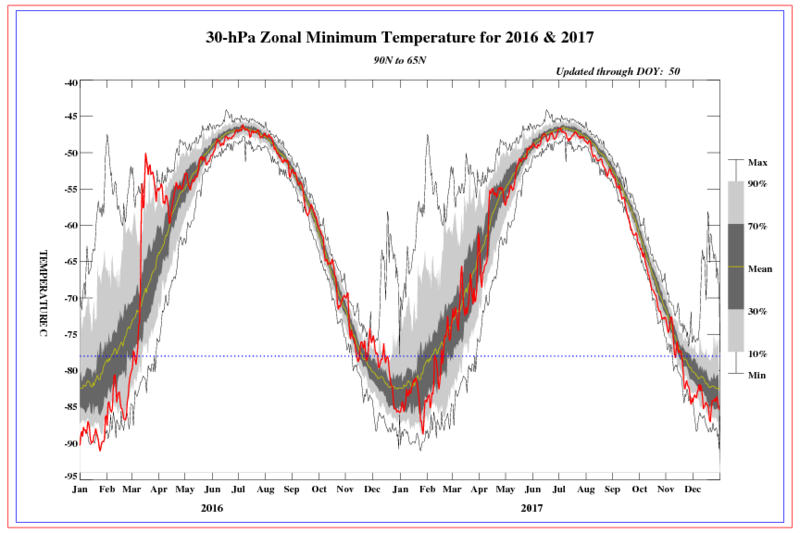 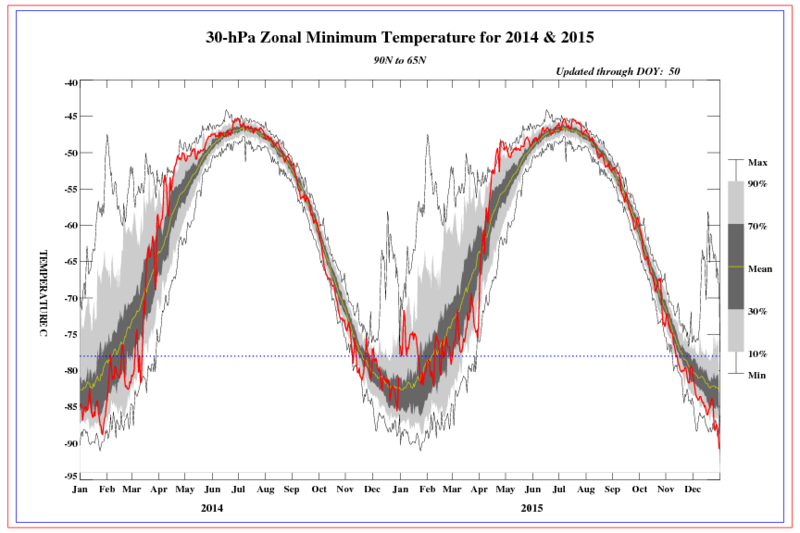 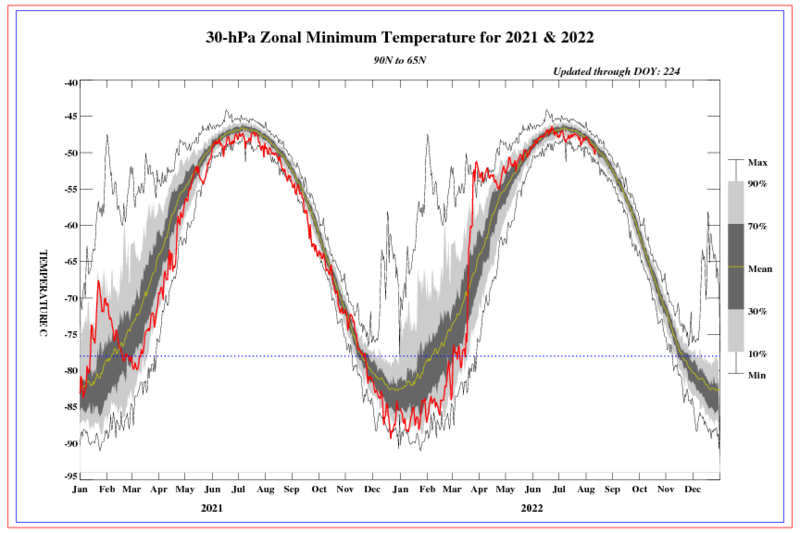 30 km) representing the middle stratosphere, and 5 hPa, 2 hPa (approx. 42 km), and 1 hPa representing the upper stratosphere. 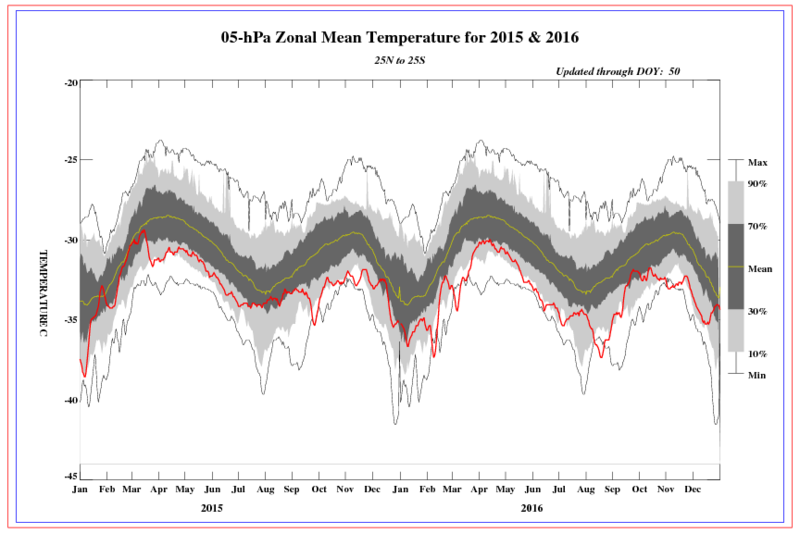 Daily temperature values averaged over each latitude region (90-60N,65-25N, 25N-25S, 25-65S, 65-90S) are shown. 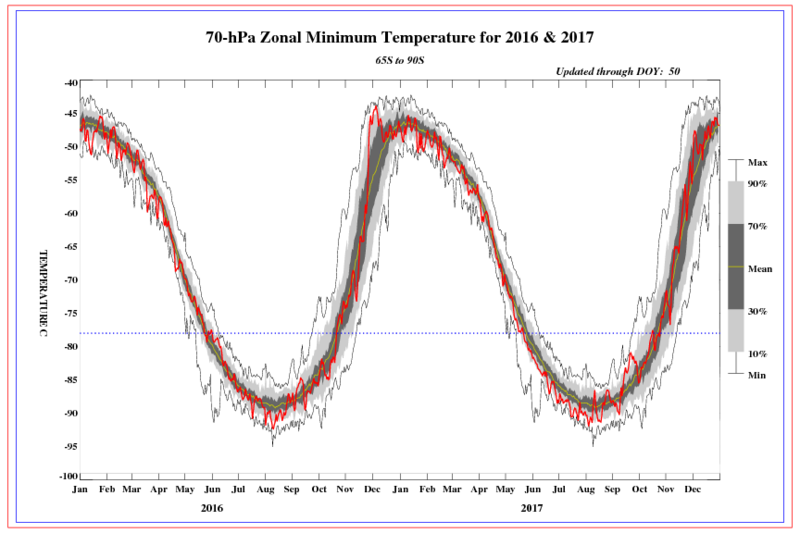 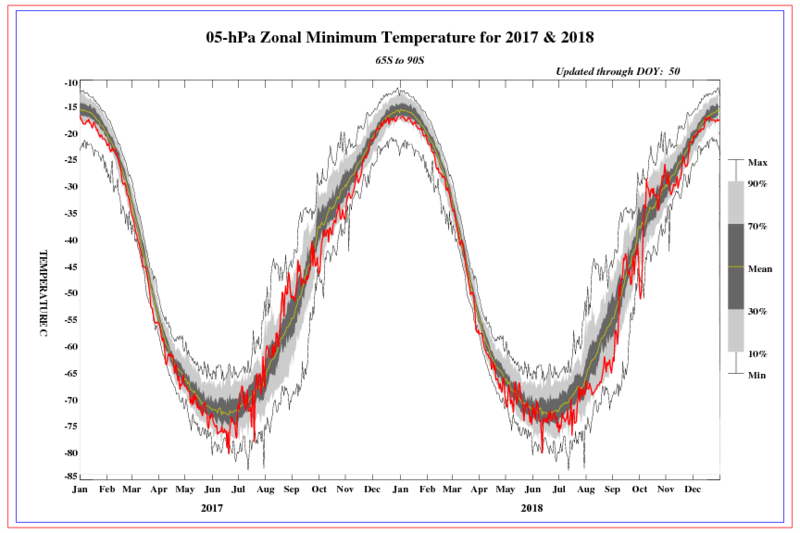 The values for the current year (bold red line) may be compared to the average values for each day (green) and the extreme maximum and minimum values for the entire temperature analysis record from 1979 through the most recent complete calendar year, (bounding upper and lower black lines).